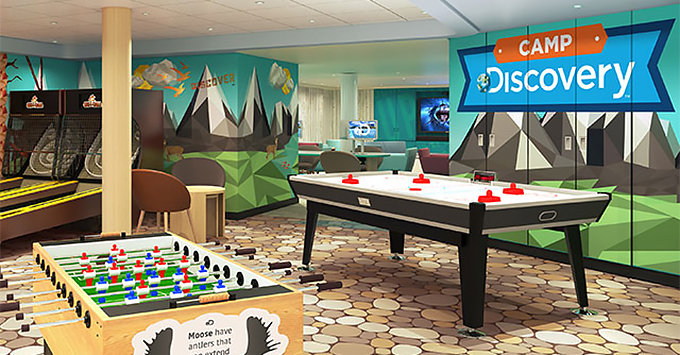 (5:19 p.m. EST) -- As an expansion of its Discovery at Sea program, Princess Cruises will spruce up the children's facilities on 14 of its ships through 2018, rebranding its youth programming as Camp Discovery. 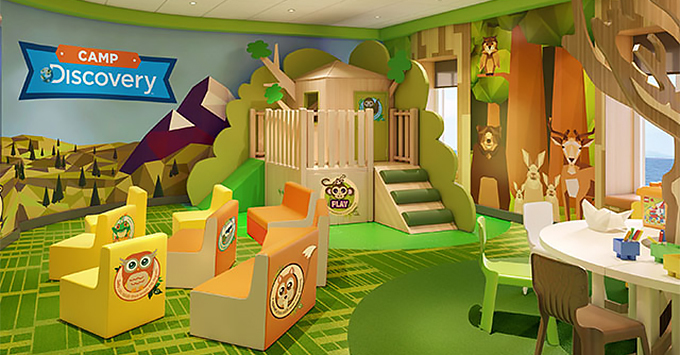 Through a continuing partnership with Discovery Communications, the cruise line is renovating onboard kids' clubs to include The Treehouse (formerly Pelicans) for ages 3 to 7 and The Lodge (formerly Shockwaves) for ages 8 to 12. Both are part of Camp Discovery. There will also be a separate dedicated teen facility -- The Beach House (formerly Remix) -- for ages 13 to 17. Each space will have its own theme, with decor closely matching the name of each. Camp Discovery offerings will feature hands-on science experiments based on popular TV show "MythBusters"; destination-immersive activities that focus on the cultures and nature found in the Caribbean, Alaska and Europe; interactive scavenger hunts patterned after "Shark Hunters"; Animal Planet puppet- and mask-making, inspired by local wildlife; and cake decorating as part of the JrChef@Sea program. Other non-Discovery activities include dance classes, miniature golf tournaments, talent shows, video game play, theme nights, paper airplane challenges and LEGO boat-building competitions. A family carnival-type experience with booths and activities will also be set up in the Piazza once on each sailing. Princess has not yet said whether the four unscheduled ships will be renovated through 2018 or whether the upgrades will trickle over into 2019. 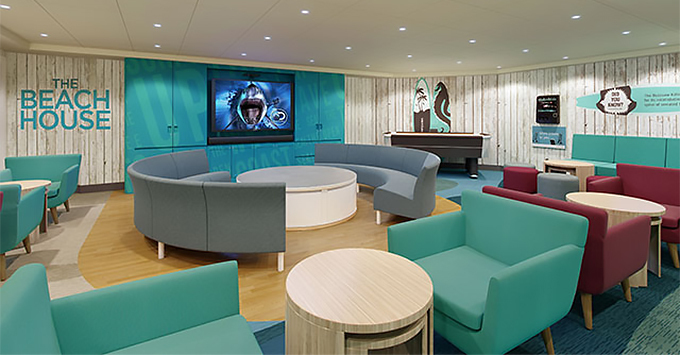 Discovery at Sea, which Princess rolled out in 2015, utilizes the line's partnership with Discovery Communications to provide passengers with opportunities for enrichment. Activities include exclusive shore excursions, stargazing and a host of other Discovery-related onboard offerings.